Tinnitus is when a person can hear sounds that are not actually present. A lot of people call tinnitus “ringing in ears”. There are so many ways that tinnitus can take place from ringing to clicking. Tinnitus can be ongoing or just temporary. For more information on this ailment check out our article explaining the symptoms of tinnitus. There is currently no scientifically-validated cure for most types of tinnitus. Treatment for tinnitus is mostly based on changing your mindset about the illness rather than focusing a lot on changing it. 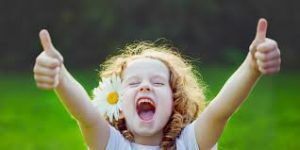 We have articles focusing on how you can change the way you view your tinnitus and how practicing CBT can give you a more fulfilling life. Millions of Americans experience tinnitus, making it one of the most common health conditions in the country. The U.S. Centers for Disease Control estimates that nearly 23% of the general public — over 50 million Americans — experience some form of tinnitus. Roughly 20 million people struggle with burdensome chronic tinnitus, while 2 million have extreme and debilitating cases. Damage to the inner ear typically is the cause of the ringing and discomfort. Most studies show that tinnitus forms from inner ear damage. Such as ear infections, hearing loss, and There is currently no scientifically proven a cure for most cases of chronic tinnitus. The search for a definitive cure is still going on and some progress is being made but we have yet to discover a cure. However, excellent tools such as CBT and meditation can lessen the burden of this ailment. These currently available treatments are not cures per se, they do not heal the patient but they lessen the discomfort of the patient to some degree. The external ear is rarely affected but when it is, patients report that the back of the ear down to their jaw feels numb. There are a few theories as to why that it is, and it is attributed to a problem in the middle ear. One of the main theories is the eustachian tube is not getting much blood flow. Since it has very low blood flow it gives the sensation of being numb. If you are experiencing this, it would benefit you to talk to a professional as soon as possible because this could be a sign of an underlying issue. 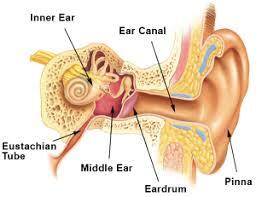 The middle ear contains your eardrum, oval window, the round window, and the Eustachian tube. The vibrations are transmitted further into the ear via three bones in the middle ear: the hammer, the anvil, and the stirrup. I’m terms such as hammer, anvil, and stirrup to give you a better picture of what the function of these bones are. These three bones form a kind of bridge, and the stirrup, which is the last bone that sounds reach, is connected to the oval window. The oval window is a membrane covering the entrance to the cochlea in the inner ear. When the eardrum vibrates, the sound waves travel via the hammer and anvil to the stirrup and then on to the oval window. The Eustachian tube is also found in the middle ear and is situated at the back of the ear. The Eustachian tube’s function is to equalize the air pressure on both sides of the eardrum, ensuring that pressure does not build up in the ear. The tube opens when you swallow, thus equalizing the air pressure inside and outside the ear, but as many tinnitus sufferers know, the opening and closing of the eustachian tube can be distressing. The clicking in tinnitus is due to us being able to hear the tubes open and close with every swallow. All in all, it is best to talk to a professional that can assist you with these problems. We offer help to those suffering from tinnitus, you don’t have to suffer in silence.